For 175 years, a cone-shaped, shelled prehistoric creature called a hyolith has been waiting to be assigned a proper place on the tree of life. 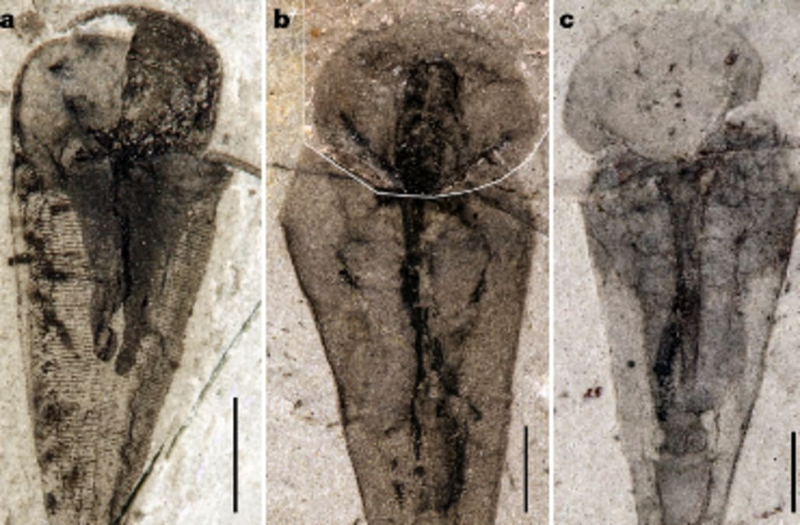 Its time as an evolutionary misfit came to an end recently, as researchers led by Joseph Moysiuk, a University of Toronto undergraduate student, finally figured out what it is. While prior theories largely leaned towards a mollusk classification, the team found evidence that plants the hyolith firmly in the lophophorata camp, which also includes brachiopods, notes the New York Times. Making that determination involved an analysis of roughly 1,500 hyolith fossils, some of which contained traces of soft tissue. The study, which was published in Nature, notes, "Our new preserved soft tissue discovery...include this band of tentacles around the mouth, a feeding structure. And this feeding structure allows us to link the hyoliths with brachiopods." The hyloith first appeared on the planet some 530 million years ago and went on to enjoy nearly 300 million years of existence, notes the BBC.